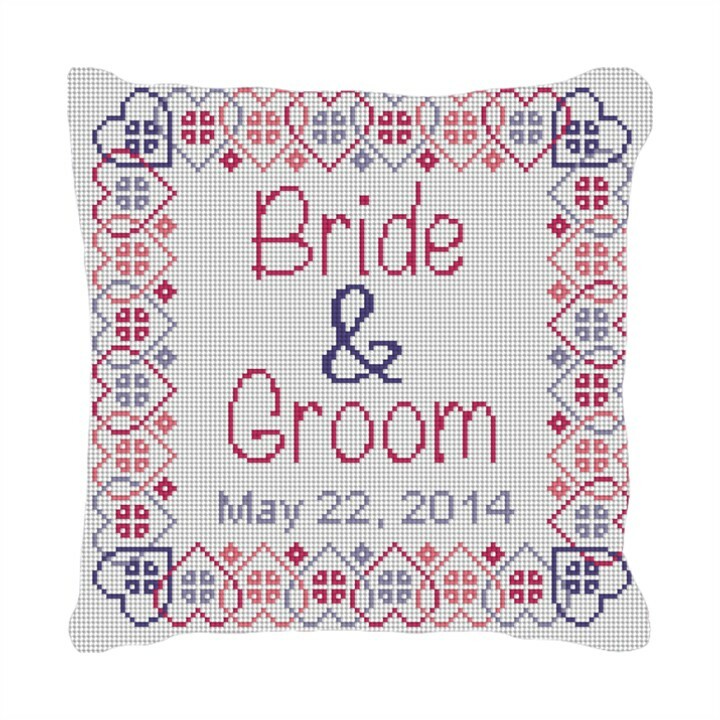 The Salo ring bearer canvas design features interlocking hearts and a fun pattern for stitching. The bride and groom names and wedding date go in the middle and will be adjusted to order. Even the colors can be changed just let us know!